The Charlotte "Midtown" area has been a local eye-sore for many years, until recently when developers leveled an old mall to make room for a large, mixed-use redevelopment - extending to the border of a historic African American neighborhood called "The Cherry Community". 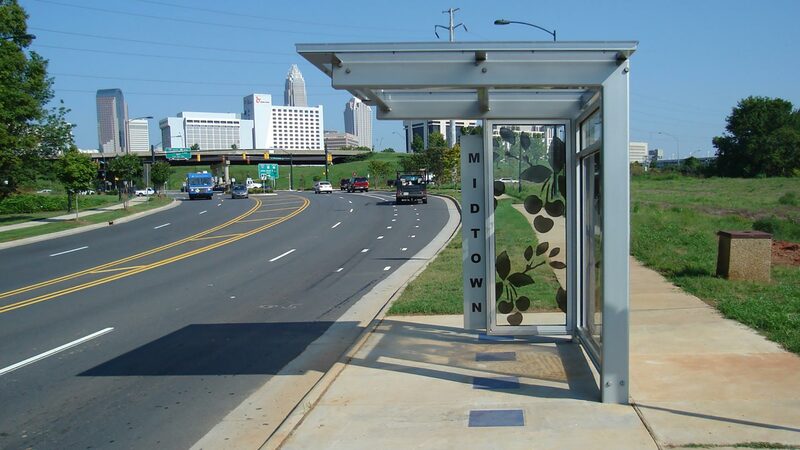 In efforts to honor and preserve the history of this at-risk community, the Charlotte Area Transportation System (CATS) & Redline has incorporated it's historic photos and local artwork as graphics into their new bus shelters. Artist, Susan Harbage Page, working with the Cherry Community Center, collected images from neighborhood residents to rebuild the community archives and integrate art into the shelters. Portraits of current and former Cherry residents represent family, community, and education. 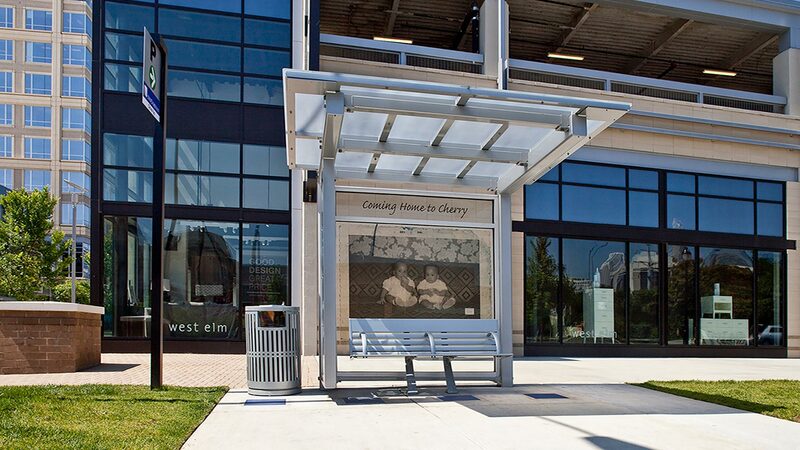 The cherry design by the artist refers to the original wild cherry trees for which the neighborhood was named. Four blue tiles integrated into the concrete reference the traditional use of blue as a protective color, often seen over doorways in older African and African-American homes. Redline has been asked to design numerous shelters for CATS because of our sensitivity and ability to adapt the shelter to the local community context. 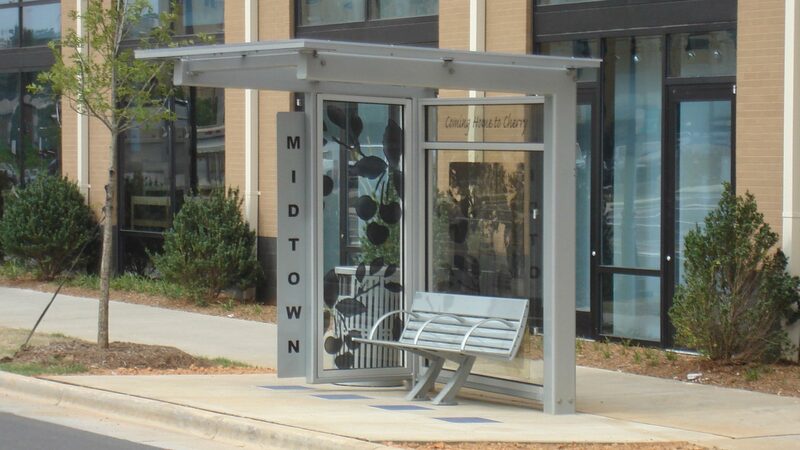 Gone are the days of boring blue bus shelters in Charlotte that don't relate to the fabric of the community.